There are some movies that are just bad ideas from the start. 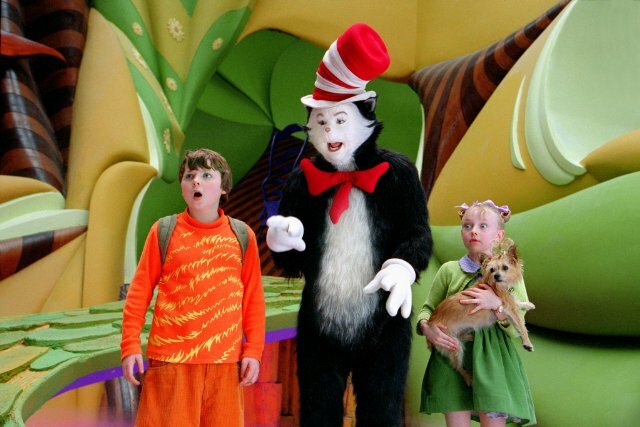 A live action Cat in the Hat was one of those movies. Unlike the Lorax where we have a fairly strong narrative with a fable-like story, the lovely Cat in the Hat by Dr Seuss is basically a story about having fun on a rainy day. There’s just not enough heft there for a feature film. But nevertheless they made the attempt in 2003 and what you got was one of the worst movies ever made. I have yet to hear of anyone that likes this movie. The story of Cat in the Hat is 2 kids Conrad and Sally bored on a rainy day. Their Mother is gone and they have nothing to do when in walks a cat with a hat who is determined to show the kids some fun. This fun consists of balancing a lot of stuff on a ball while the kids fish complains he is making a mess. When that doesn’t work he unleashes 2 creatures called Thing 1 and Thing 2 who fly a kite in the house and make a mess. Eventually the Cat helps them clean up and everything is good. What does the movie do with said story? 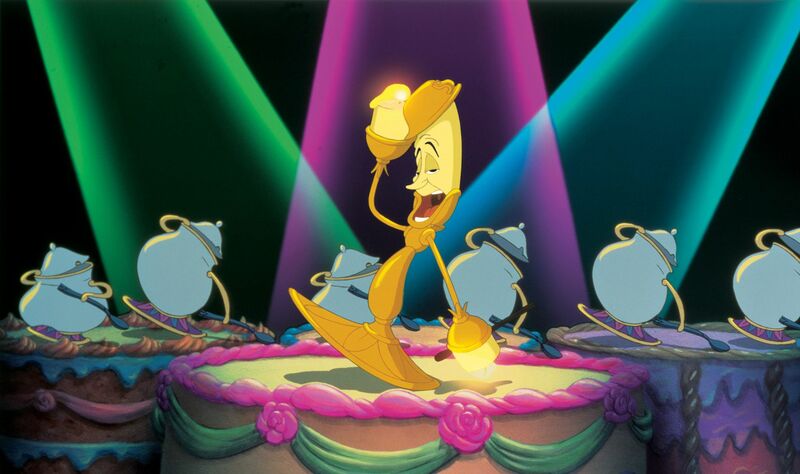 They turn it into a ghastly looking, shoutfest, with double entendres, potty humor, and a general mean spirited nature. Part of the problem is the film confuses chaos with fun. Characters shouting and making messes is not in and of itself pleasant to watch or entertaining. Or maybe it is for 1600 words but not for 82 minutes in a movie! 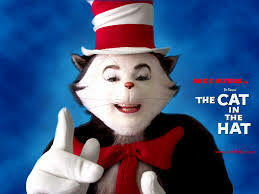 Mike Myers is the lead cat and it is one of the most ghastly makeup jobs and creatures ever put into a movie. I’m sure someone could redo the film and turn it into a horror movie. In the book the cat looks more lean and lengthy but here it is awful. 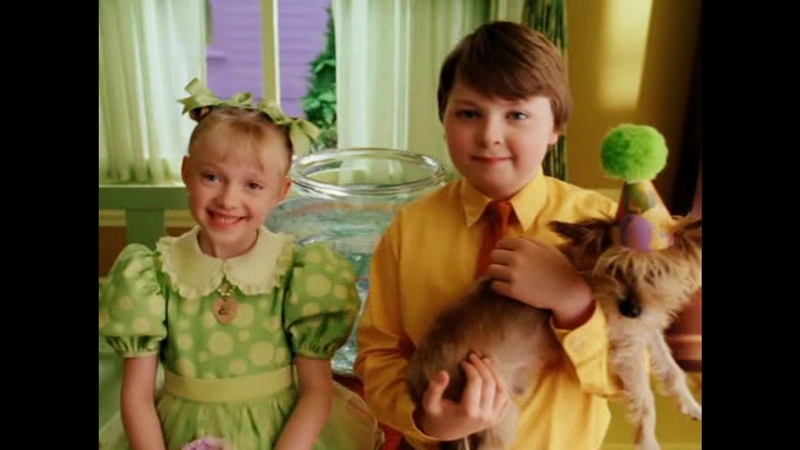 Spencer Breslin and Dakota Fanning are the kids and they mostly scream at the Cat for making a mess and getting them in trouble. Again, not fun to watch. 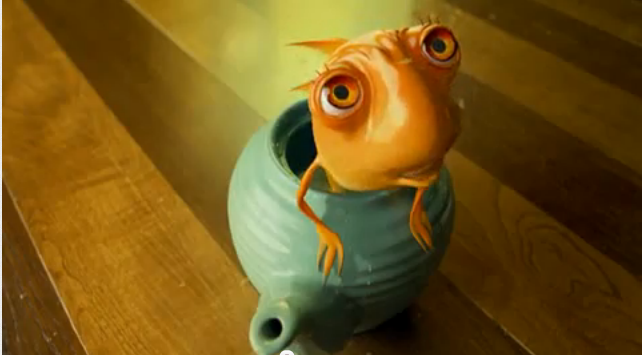 The fish is there but like most things in this movie looks very disturbing instead of cute. Thing 1 and Thing 2 arrive and don’t just fly kites but end up taking kids on amusement park type ride and destroy the house. It’s not funny or interesting just exhausting. 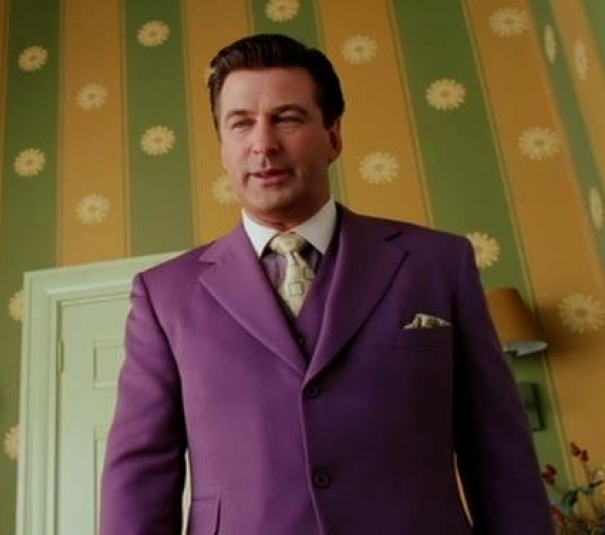 Then they add plotlines with the kids Mother played by Kelly Preston and her horrible boss played by Sean Hayes. She also has a horrible boyfriend played by Alec Baldwin who of course hates the kids and wants to send Conrad to military school. I guess they were trying to add some kind of villain into the mix but it isn’t funny or compelling or fun in any way. 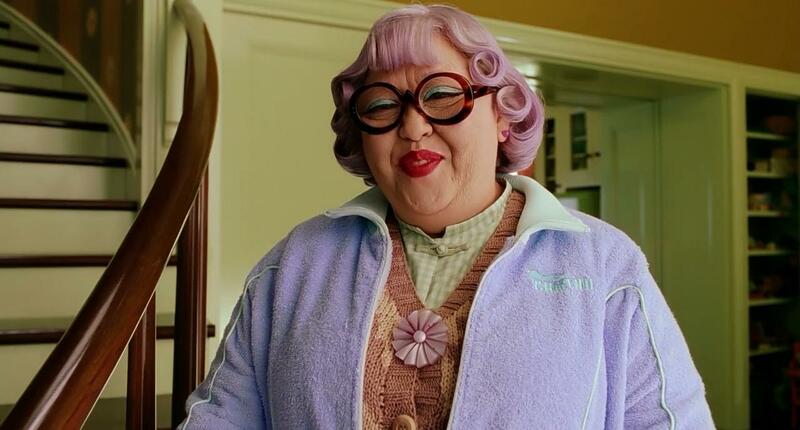 The worst of all is their nanny Mrs Kwan is a narcoleptic who they mock throughout the movie. Some of it I found to be kind of racist and it is all thoroughly mean. She’s treated like a human doll to beat up on and I suppose if she was some awful person that would be one thing but she pretty much sleeps the whole movie. It’s not funny to see a woman treated like that. Then to top it off we get a rave party scene with Paris Hilton making an appearance. You know who you always want in your children’s movie- Paris Hilton in a skimpy party number. What were they thinking? The Cat in the Hat creators need to spend more time with kids to understand what fun is for a child because their attempt to create it falls flat every time. Nothing is funny and nothing is fun. When a kid plays they are random but not usually complete chaos. They may combine their Star Wars and GI Joe characters together in an epic story dominating Barbies (random) but they aren’t just flailing about throwing their toys around the room and if they are they don’t do it for 82 minutes. That’s what was so ingenious about the Lego Movie. They captured the randomness of a kids mind better than any movie I’ve seen. You had the pirate, Harry Potter and Abe Lincoln all together but there was a story and an inventiveness that worked. It wasn’t just madness all the time. I suppose the writers were trying to take Myers Shrek style of comedy that was so successful at that time and apply it to this movie. The problem with that is at least with Shrek (not a big fan of those films) there was an actual story and more than one performer to bounce the humor off of. 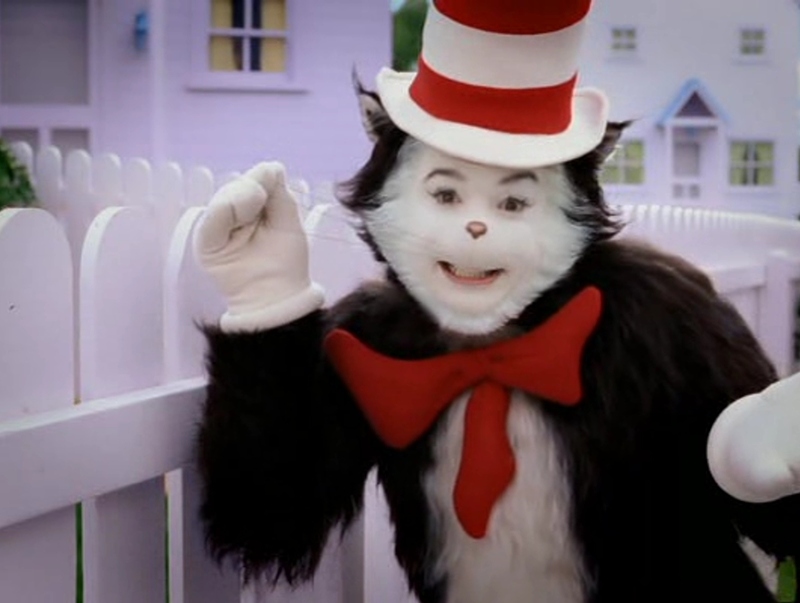 The little asides and adults only jokes are obnoxious in Shrek but I’d watch all 4 of those movies on repeat rather than sit through Cat in the Hat again. 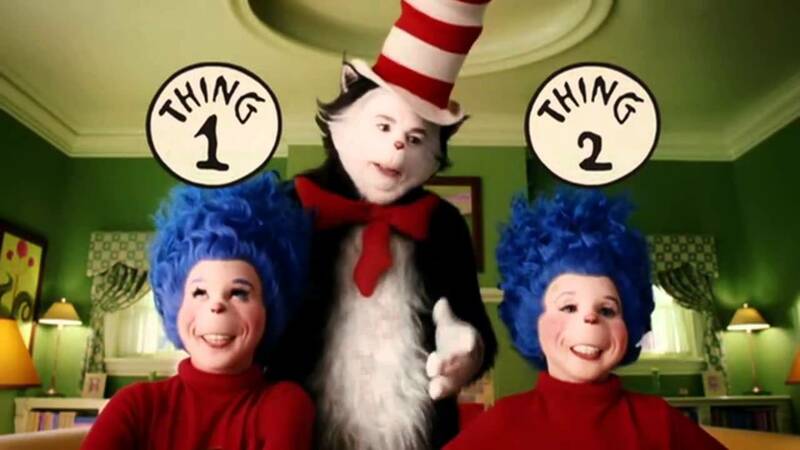 Everything doesn’t need to be a movie and Cat in the Hat should have been stopped at the idea stage. Some of the sets look bright and colorful but in total it feels like an assault to the senses so even that isn’t pleasant. Badly done Hollywood!! Seuss deserves better than this atrocity. Why do you still watch cartoons? This is very well said and very true. For some animation is too separated from reality. For me it is like any other medium it can produce all ranges of emotions and reactions. I mean think we have everything from Winnie the Pooh to Akira to Waltz with Bashir. 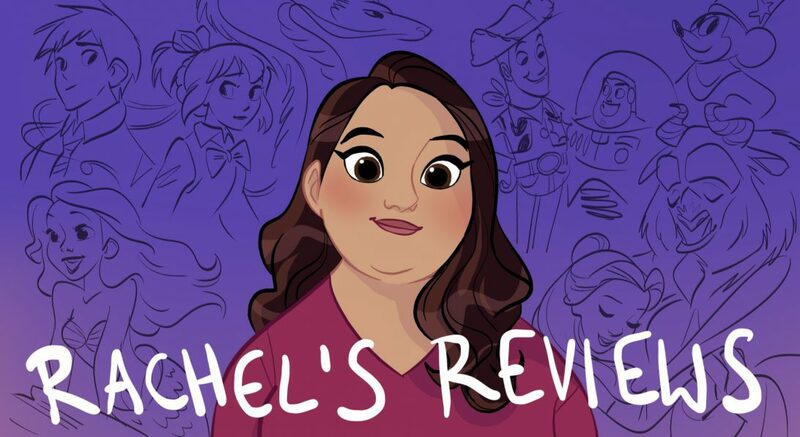 But I think what excites me about animation is it is literally art on the screen and so even a silly comedy has a new layer that I love so much. So yes I’m 34 years old and still watch cartoons! A lot of people ask me: why do you still watch cartoons? 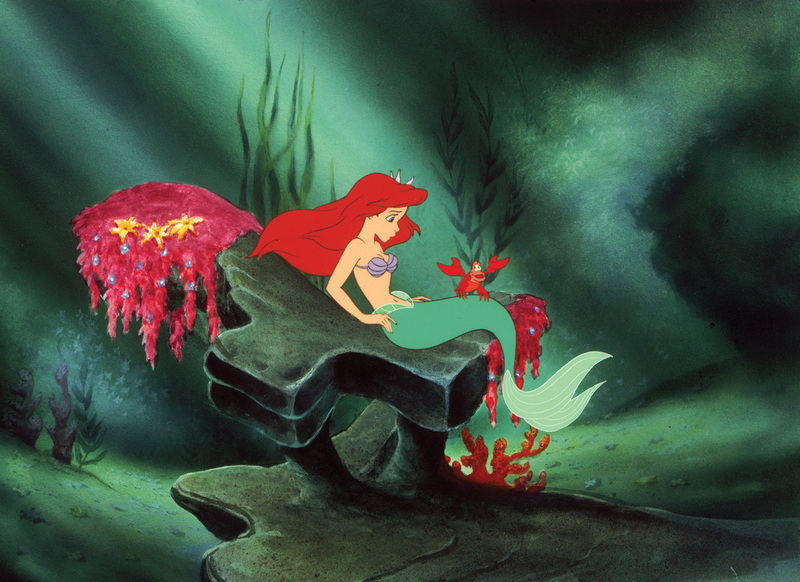 And you know, I have been thinking lately: why do I love animation so much? Earlier this week, I poured my heart, soul and life into my “Top Ten Studio Ghibli Movies” list. 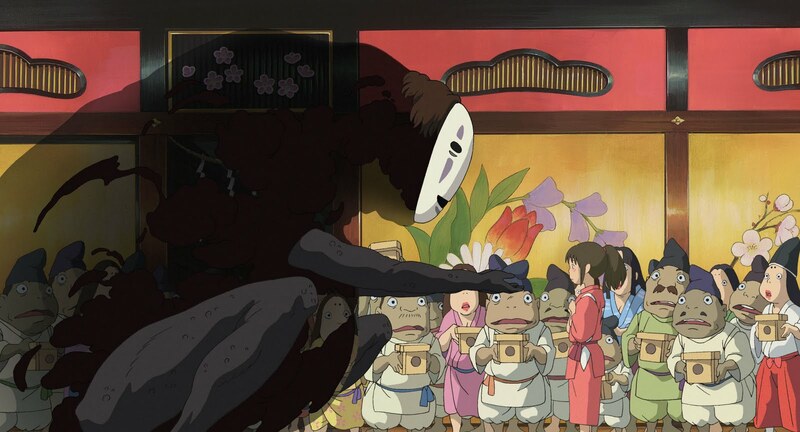 Everything I wrote about my love for those films magically appeared on the page, as if Totoro himself took a bag of scrambled words and gracefully placed them there. Sometime after I finished the list, I was home, completely engrossed in the humor and wonder of the shows Steven Universe and BoJack Horseman. 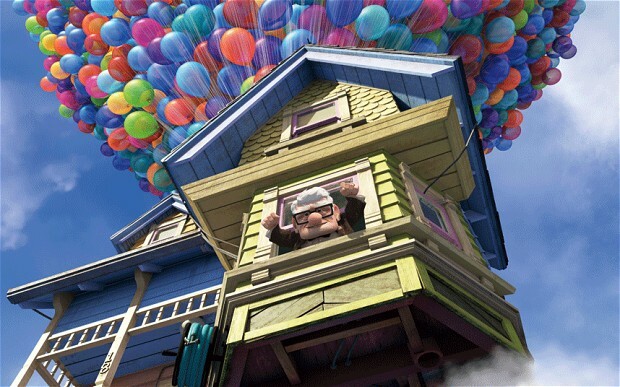 I hope you guys enjoyed my review of Up, my favorite movie. It was difficult to write but I did my best. 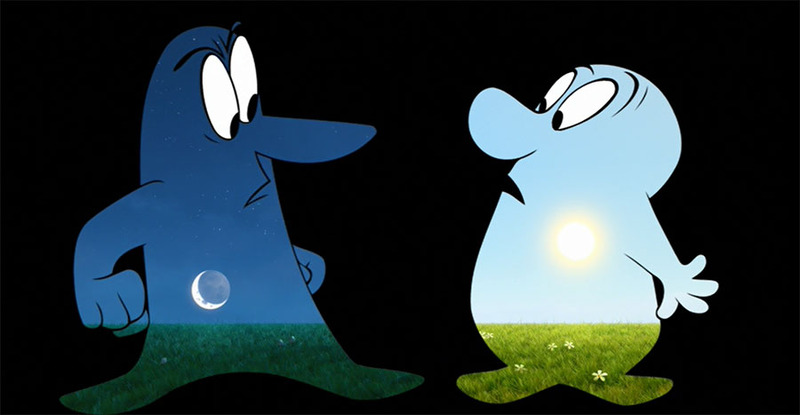 Now for a nice breath of fresh air let’s appreciate Pixar’s delightful animated short Day & Night. 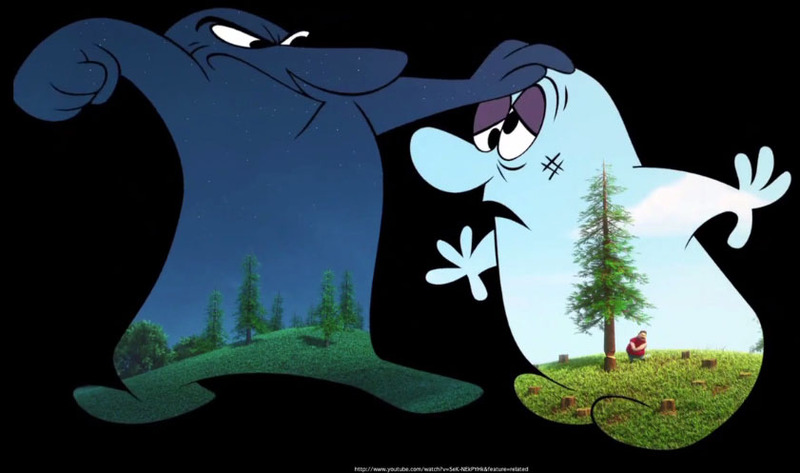 In many ways this short feels like some of the early shorts because it is more special because of the methods they used than the short itself, although the short is charming. It’s more like a Red’s Dream or Tin Toy where they were clearly stretching their artistic and technical capabilities and trying something new. 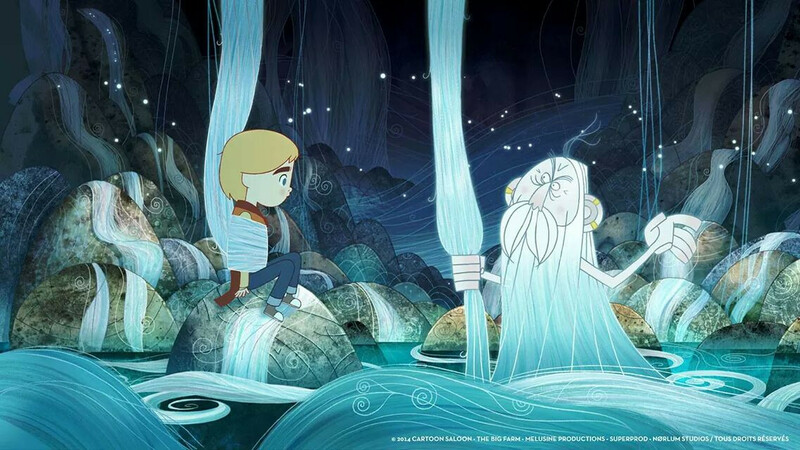 The new experiment was not just a hybrid of 2D and CG but telling stories with both mediums in the same shot. It’s really quite brilliant. 2 years later we would get the hybrid film Paperman but that’s more of a meshing of the 2 instead of them existing separately within the same story. For people that are down and depressed about the loss of 2D animation (I know many of you readers are) you should take heart at things like Day and Night. 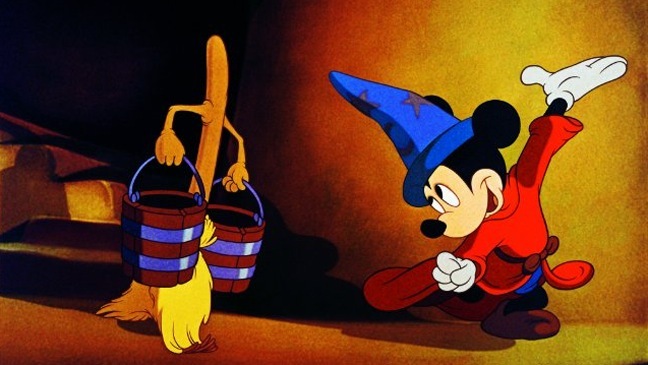 It’s sign that while we may not see the 2D film from Disney anytime soon a hybrid using both techniques is certainly possible and I think quite likely. 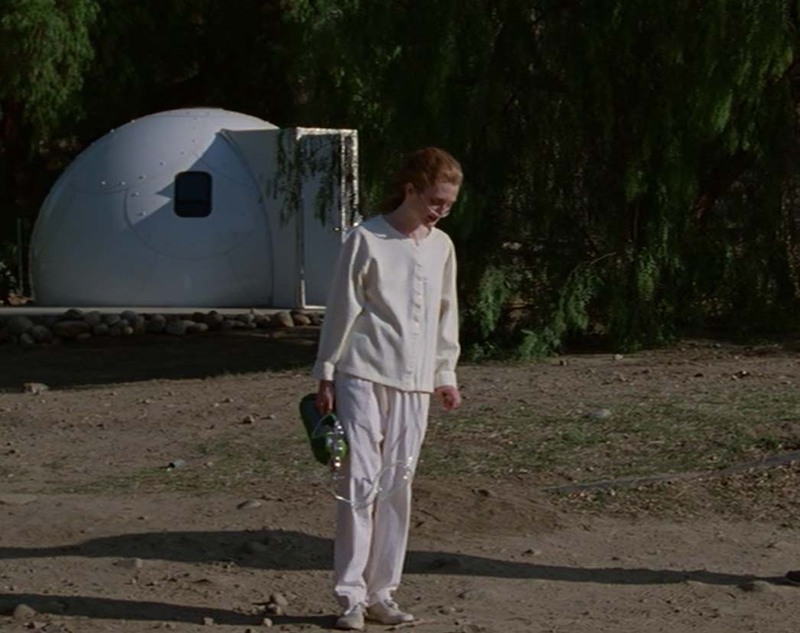 Anyway, Day and Night is directed by Teddy Newton and it stars 2 creatures, one is Day, one is night. We know this because we can see the world in their bodies from their unique perspectives. At first they are kind of fascinated by what’s going on in the others world. Then they become envious and frustrated, even angry at the things they don’t have. They are also very boastful of the things they have especially Day. But they also learn they can work together and both enjoy experiences like when Night allows Day to enjoy a drive in movie. The movie on screen is the cowboy scene the puppies are watching in 101 Dalmatians. 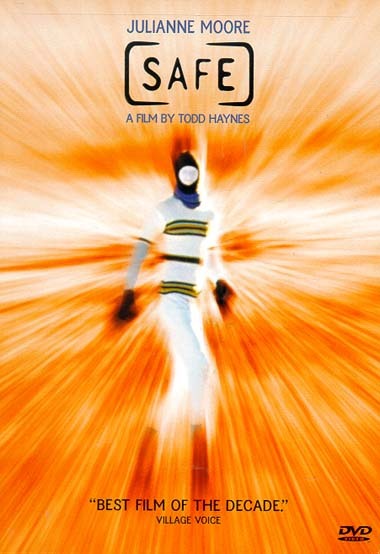 The sound design and mixing by Barney Jones and Tom Myers is first rate in Day and Night. What’s really neat is the way the 2D and 3D worlds are connected. For instance, when Night is punching Day each punch is coordinated perfectly with a logger chopping down a tree with an ax. Then when the tree is toppled Day falls to the ground along with the tree. I like the message and it’s not as heavy-handed as you might think because it is split up into small bits. And I like the idea of walking in another’s shoes before judging them. It’s so important especially in this day and age. And it looks so lovely. 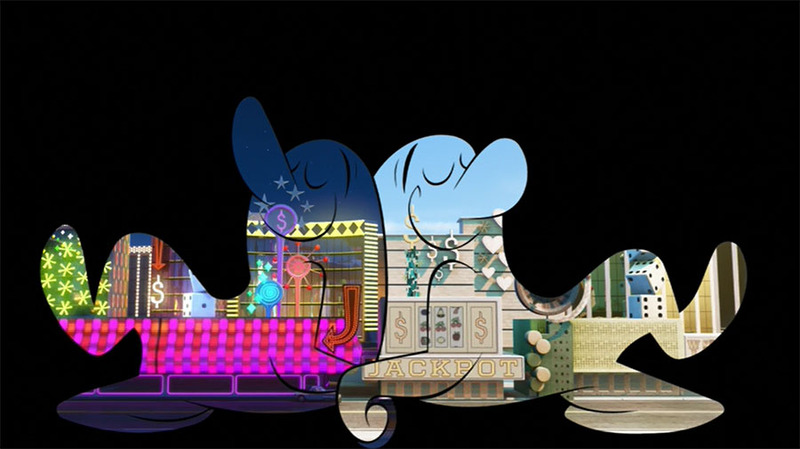 One of my favorite sequences is them battling out Las Vegas which of course looks better at night! I guess if I was to nitpick the oogling over the bikini clad women I Could do without, but it’s not a huge problem for me. Michael Giacchino did a great job with the music and having just enough of it to be effective without getting in the way of the sound effects. 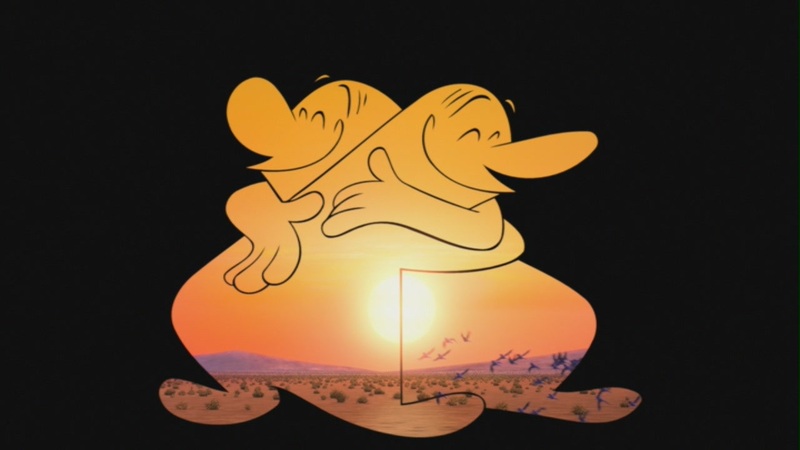 Is it my favorite Pixar short? 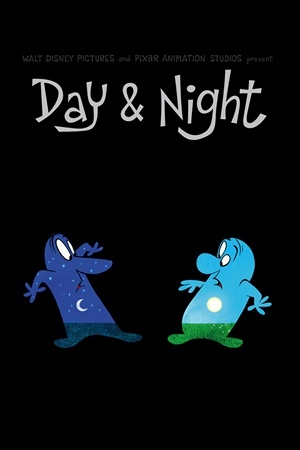 Probably not but I really do like Day and Night. 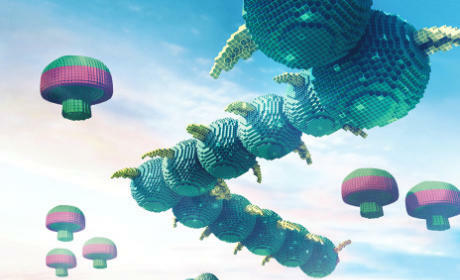 Definitely worth seeing and I hope we see even more hybrid and 2D elements in future Pixar shorts and films. Often in the world of movie fandom you will hear complaints about Hollywood’s lack of originality. That all we get are sequels, prequels, remakes and reboots. I include myself in that number. 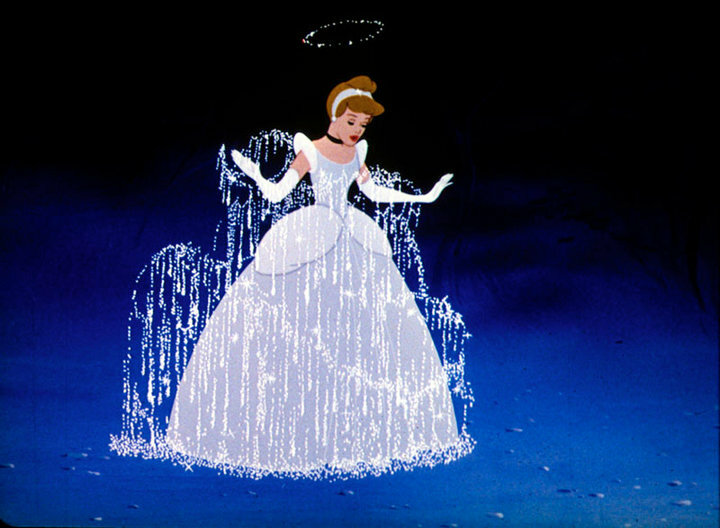 If it isn’t a direct remake it is an adaptation of a popular book or a close copy of a popular franchise. It seems like it is pretty rare that something truly original comes along. Or so the argument typically starts out. But wait, lately I’ve been wondering if that is actually the case? 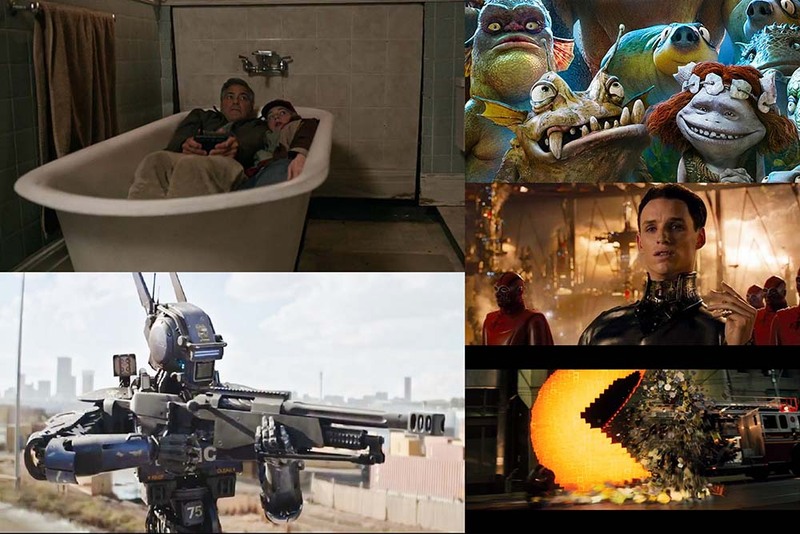 This year we have seen original ideas in Tomorrowland, Chappie, Jupiter Ascending, Strange Magic, Pixels and of course Inside Out (as well as I’m sure others I am overlooking). Last year we had Snowpiercer, Grand Budapest Hotel, Locke, Song of the Sea and more. Come to think of it last year was actually a pretty good year for original stories. What’s the problem then? Well, most of those movies didn’t do very well at the box office and had often be hunted down rather than the big name sequels, and reboots which are so prominently marketed. Obviously something like Pixels, Tomorrowland and Inside Out get a lot of marketing but it does seem to me the tried and true franchises are more shoved in our face than the original ideas (Amazing Spiderman 2 great example of that kind of obnoxious marketing). Franchises can also have original ideas. 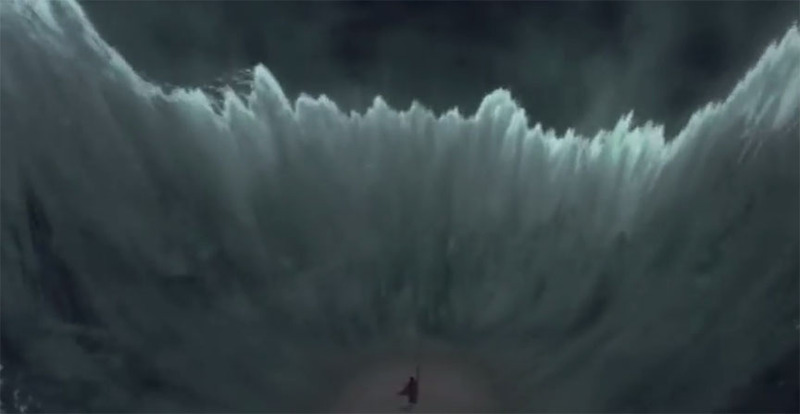 Christopher Nolan has certainly proven that with his Dark Knight saga. But I was thinking about particularly this year. Aside from Inside Out we’ve seen original concept films tank at box office and with critics. I had fun with Jupiter Ascending but it isn’t a good movie. I just watched Chappie and it was terrible. Tomorrowland was a disappointment. We will see how Pixels does but I don’t anticipate great numbers George Lucas’ Strange Magic came and went with few people seeing it, making only 12.5 mil at box office. So what’s the problem? 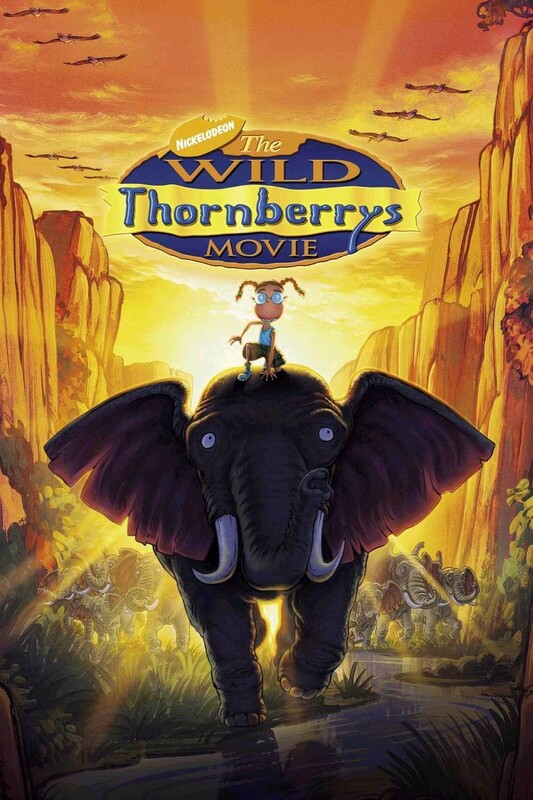 Why aren’t audiences flocking to see these original ideas but showing up in droves to see Jurassic World? This year I think it is simply the original movies haven’t been that good. If Tomorrowland had been great it would have gotten tons of buzz and people would have gone to see it. Most were disappointed including myself and I’m certainly not going to give something a pass just because it is original. The problem with Jupiter Ascending is it was trying to be a soap opera (or space opera) and was very campy and silly but it also has too much exposition and is full of dopey ‘so bad it’s good’ style dialogue. The filmmakers didn’t even seem to have a handle on the type of movie it was premiering it at Sundance of all places. That is not the right spot for a silly space opera. 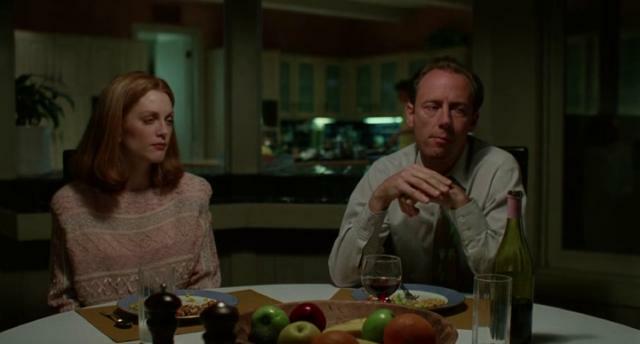 So it got booed at Sundance and the bad word spread till it did very poorly. A lot of these original concepts are also difficult to market because they don’t have the established characters or worlds we know. Something like Mad Max Fury Road is in many ways an original movie but it had the benefits of a franchise that while many hadn’t seen the originals they recognized all the tropes and style of what a Mad Max film is. Tomorrowland in particular was very tough to market. Is it an AI movie? Is it sci-fi? Is it fantasy? A comedy? A coming of age story? An action movie? It’s kind of all of it but none of it completely. Chappie didn’t work because it has some of the most obnoxious characters I’ve seen on screen in a long time. Pixels and Strange Magic had good ideas but the scripts were so lazy and characters so stupid. Could it be that original concepts can be too caught up with their concept and forget to craft a compelling script? With a franchise you already have a framework to help you write said script and an eye for what works with the audience. In an original feature film you are throwing concepts out to see what sticks. You don’t know how the audience will respond because it is original so the pass fail ratio is naturally going to be higher. That’s why Hollywood loves franchises. They are safe and fairly predictable. But then you have an Inside Out or The Artist- original concepts that people enjoy and tell their friends about. I still want to take anyone and everyone to see Inside Out. It inspired me so much with the original story and writing. So brilliant. 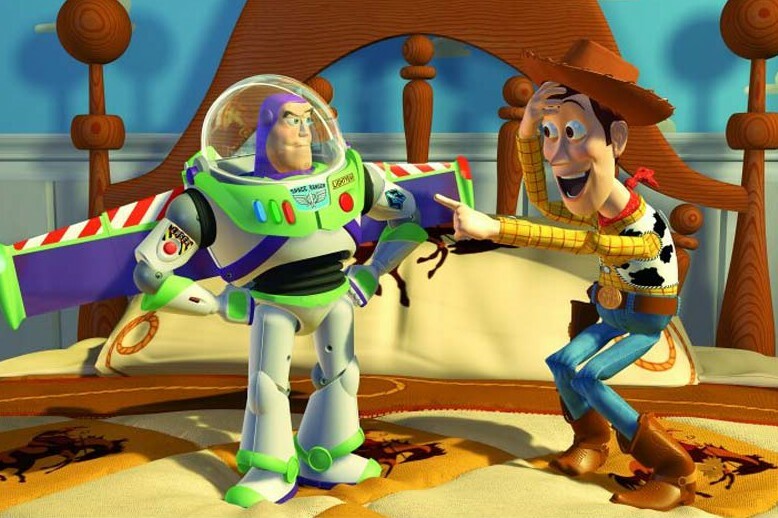 Maybe Pixar does it right spacing out their sequels with original movies in between? This gives a mixture of the predictable for both us and them and the new exciting risky concepts. What do you think about original movies vs reboots, remakes and sequels? Why do you think at least this year so many original conepts have not worked (at least at the box office)? What’s the key to making an original movie a success both in content and at box office? 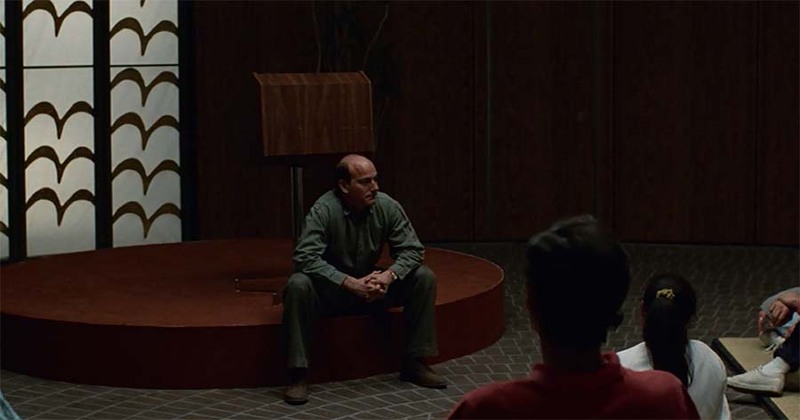 Regardless of the reason I hope the studios take heart from success stories like Ex-Machina and Inside Out and continue carving out room for new ideas. I hope they keep taking risks even if a lot of them don’t pay off critically or monetarily. Let’s hope! You like that poster? 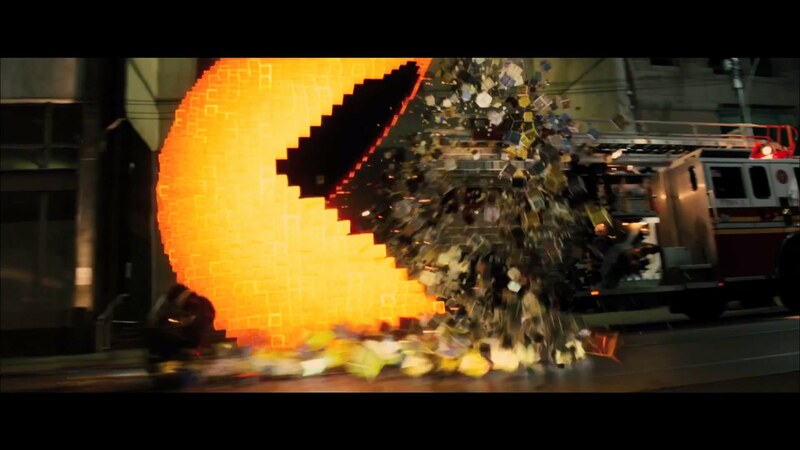 Well, my friends in the new movie Pixels there is no Pacman the size of a city, no Golden Gate Bridge and no San Francisco. No West Coast at all in fact. The poster looks like an exciting concept but sadly that’s not the movie we got. 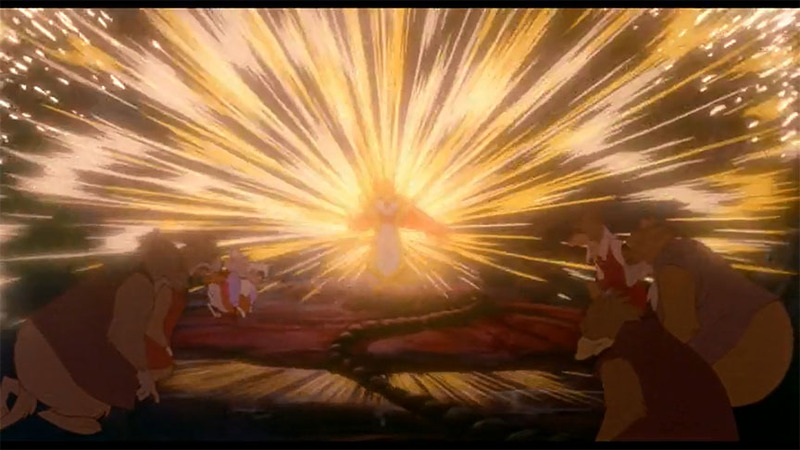 And in many ways that is emblematic of Pixels as a movie. It’s not really satisfying on any level. 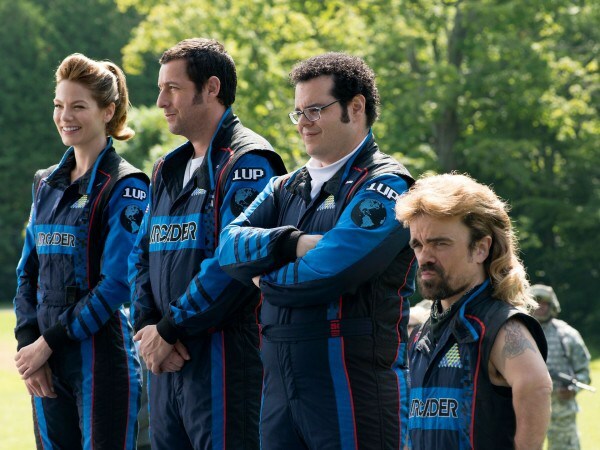 That said, if you like Adam Sandler and were one of the cinemagoers that contributed to the $247 million gross box office that was Grown Ups, you will love Pixels. It isn’t as bad as That’s My Boy or Grown Ups, or Jack and Jill. It’s watchable. If you like Adam Sandler’s schtick there were a few laughs. Something I can’t say for those other films I mentioned. At least Pixels does not have a vomit, urine or other bodily function joke. Great job Adam Sandler! (Have you got the idea I’m not a big Adam Sandler fan). 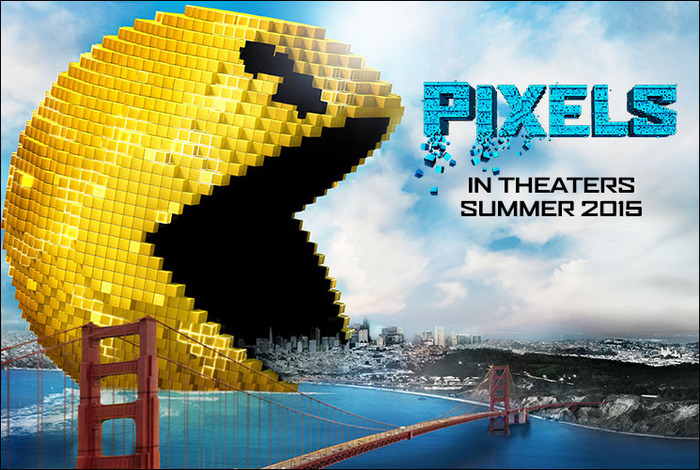 It’s a shame really because Pixels could have been the next Ghostbusters. It’s directed by Chris Columbus and he gives it an 80s sensibility with the music and some of the early scenes feel authentic to movies of that era. Just like with Ghostbusters the creatures special effects are pretty well done and you have this tag team of comedians fighting them off. The problem is the writing is so bad. With Ghostbusters you had 4 eclectic guys who start up a business. Are actual entrepreneurs which makes them unique and fun to watch. Plus, the script is dry and funny and each of the 4 guys has his own personality and story arc. All the guys in Pixels are the same and have the same story to tell. Basically the entire point of the Pixels script is to say to Adam Sandler “you haven’t done anything with your life but that’s ok. Your lazy manchild skills are really what are going to save the world after all”. How hilarious. The first joke of the movie is that Kevin James is supposed to be President of the United States. This should be the one gamer who did something with his life but he’s a buffoon. You get no idea of how he could have possibly become president. In fact, some of the gags at his expense come off as kind of mean. For example, it is a big joke that Kevin James can’t read very well. Wouldn’t it be more funny to have an actor like Martin Sheen or Michael Douglas (who both can be very good in comedies) be the video gamer at heart but also be a serious President? Wouldn’t that have way more potential for comedy? Or put in someone like a Kiefer Sutherland who is super angry and vengeful towards the aliens. That would have been funny. Anything other than Kevin James acting like a buffoon as the leader of the free world. Anyway, Adam Sandler is James’ old friend who was defeated in the 1982 World Arcade Game Championships. This left him devastated (who knew coming in second was such a horrible thing at a WORLD championship). Anyway, NASA at the championship sends off a time capsule with clips of the video games and other pop culture relics from 1982 in hopes of it reaching extra-terrestrial life. Peter Dinklage is alright in it but he has a strange accent that wanders in and out. 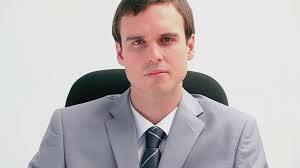 His character is inconsistent and not very well written but he tries. He gave me a few laughs. The other thing with Ghostbusters is in that movie you had a lot of factors against the team. In this you have a grumpy Brian Cox who is listed as “a military heavyweight” in the cast list and he doesn’t like these civilians butting in with his team. Gad is even allowed to scream at the seals for an extended unfunny scene that added nothing to the story. It makes no sense for Cox to be hating on the team especially after they have defeated Centipede and Pacman. I guess he wanted the world destroyed? Sean Bean appears for a gag Sandler loves of 2 men hugging in fear. It’s 2015 is that still funny having 2 men awkwardly hugging? The women are also completely wasted. Michelle Monaghan is gorgeous and a lieutenant colonel in the army but her main job is to invent things for Sandler and then direct them from a screening room. She also gets dumped for a woman named Sinnamon (with an S as pointed out several times) and is seen drinking chardonnay with a sippy cup even though her son is at least 10. I’m nitpicking there but they totally underuse her. Jane Krakowski who can be so funny is in 2 scenes of the movie and one of them she is decorating a cake with the her husband the President in the middle of a war and in another they are at a party also thrown in the middle of wartime. Ashley Benson is literally a trophy given to one of the men for their victory (when I say literally I mean literally). Little kids might like it. There’s a little mild language but that’s about it as far as offensive content. But will kids get the appeal of the 80s arcade games? So I don’t know who this movie is made for? Like I said, if you like Adam Sandler movies and think some of his comedies of the last 10 years have been funny than you will probably love this. It’s just not my cup of tea but I can see its appeal to others. Hopefully that gives you some idea of what to expect. 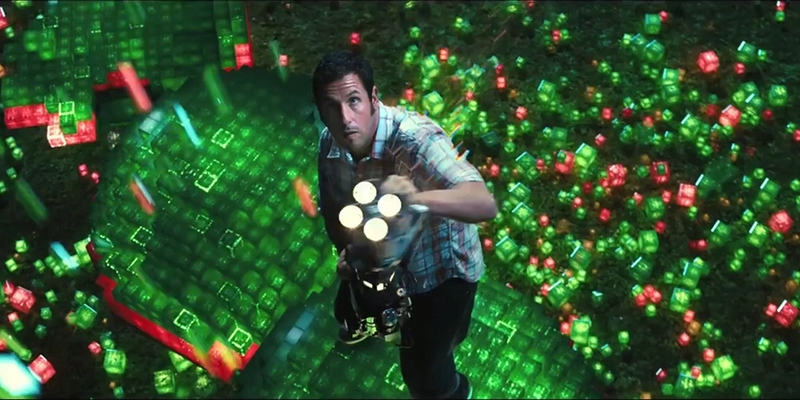 Overall Grade- D+ (for special effects and I feel like at least Adam Sandler tried so I won’t give him an F). So last minute change Nathaniel over at Film Experience has decided to switch things up for our Hit Me with Your Best Shot movie club. Instead of our normal watch a movie and pick a shot, the assignment is to watch each of the nominees for best cinematography at the MTV Video Music Awards and pick a shot from each of them. I have to say going into this I am really only a fan of one of the songs. Not that they are bad just not my taste (I’m not much into hip hop). I’m also not that up on the current music scene so take my opinion with a grain of salt. 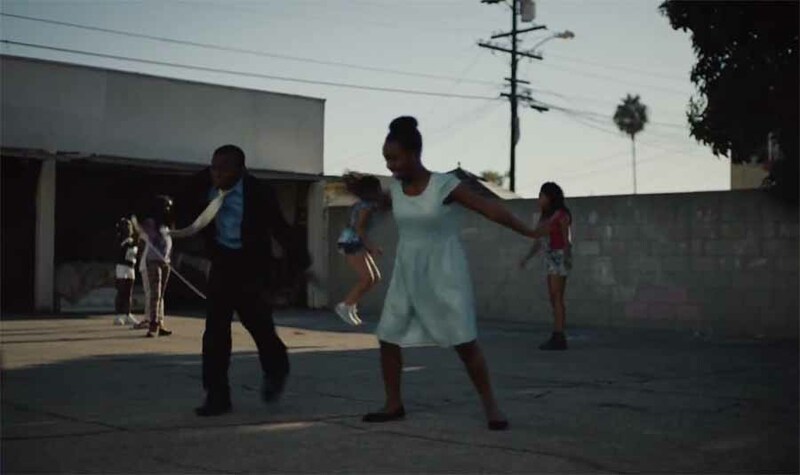 Even for hip hop fans I don’t really get the appeal of the music but the video is nicely done. This video starts out with a community grieving the loss of a boy and girl at a funeral. But the children wake up out of the caskets and proceed to dance. I think this is supposed to mean the exuberance which is lost to violence. I really liked these 2 kids dancing so that’s why I picked this shot. 2. The next song is Thinking Out Loud by Ed Sheeran- a bit of a slinky costume on the dancer on this one. Just warning. Not a whole lot to this video but a very pretty dance number and I like dance so that’s great. This is actually the only song of this group I like and own. I think Ed Sheeran has a nice tamber to his voice and the song has a very good hook. They could have done I think a little bit more with the song, been a little more creative but it’s a nice number. I thought this moment with the lighting and the splits of the dancer was beautiful (sorry I don’t know the technical terms). They should get this dancer on Dancing with the Stars. She’s great. 3. Next is Taylor Swift Bad Blood featuring Kendrick Lamar. I actually like Taylor Swift (I know it is for some reason cool in certain circles to hate on her) but for a pop songstress I enjoy her tunes. This song I’m not crazy about probably because of the hip hop elements but the music video is pretty cool and certainly ambitious. There was a lot of cool shots to pick from this video but I went with a shot of the 2 boxers because I think boxing is empowering and have enjoyed doing some of it myself. 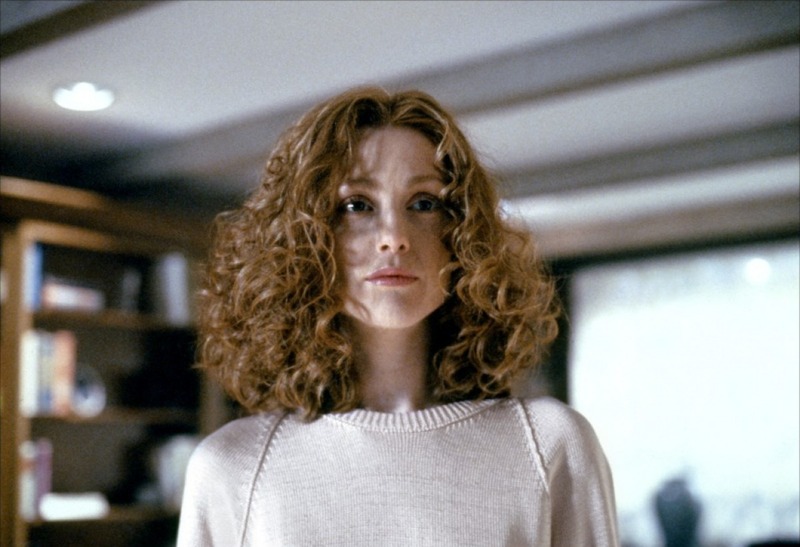 I think it is a particularly awesome trend for women- get all that angst out! This song I really didn’t care for and I wasn’t a big fan of the video either. I don’t know who this singer is but I think you have to be a Beyonce or Mariah Carey to pull off this kind of diva Cleopatra kind of video. But at the end we get an image of someone (the queen I guess?) under water and that was beautiful so that’s my shot. I have heard this song and it is an okay even if I can’t understand a single word he says. It feels very derivative of other artists like Cat Stevens but most in this genre probably does. The video sure looks like they are having fun! I need to hang out with these folks. As an open water swimmer I particularly enjoyed the scenes at the river. I wish I could be at that river floating down that gorgeous water!! (Well I kind of was last weekend at Bear Lake!). But it looks really fun, so that’s what led to my shot. 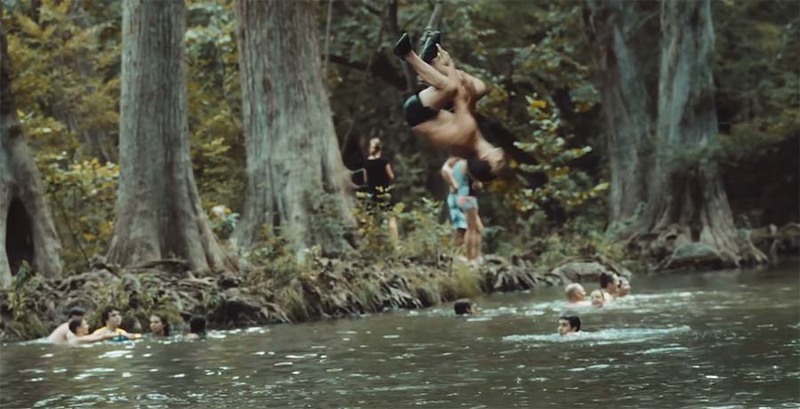 I wonder where this mysterious river is with the rope swing we always see in movies and TV? Looks fun!